There are lots of passwords that have been hacked and therefore never should be used. Now these are gathered in a database for everyone to search! So this is a good oportunity to check if your current password is breached - right!..... WRONG! 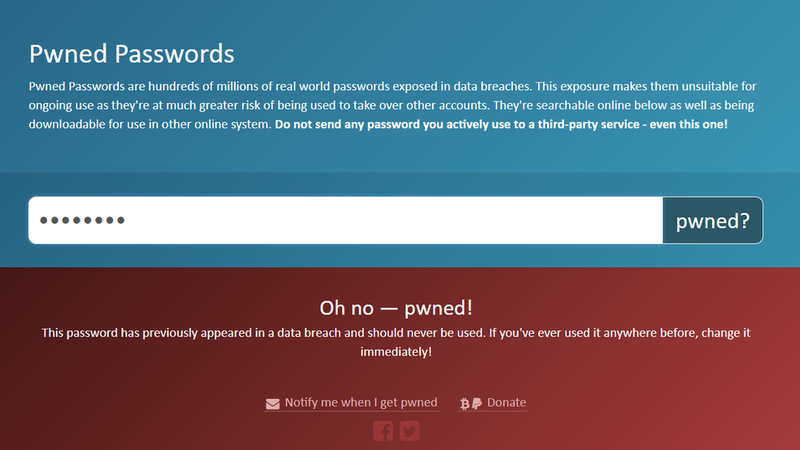 You should never enter your active passwords on third party sites - including this one! Try the ultra secret password "secret" and see if it ever has been breached ......It is great fun. Sometimes the constant change of password and not allowed to use previous passwords is becoming a nightmare. The solution is biometrics or access ID cards with chips. One challenge when changing passwords is remembering them. Also, frustration when you are asked to change it at a moment notice. If you think about it for a minute. If systems are allowed to surf the web they become vulnerable. At work, I use my phone for web surfing and leave my PC alone. For 2 reasons, malware and to prevent the corp from monitoring what I surf. Write the password down and put it under the Keyboard or even write it on the wall! If the building is secure then nobody will find it and your online security is peachy. To make sure write "This is not my password" on the note. OneLogin breached, passwords possibly compromised ?? ?